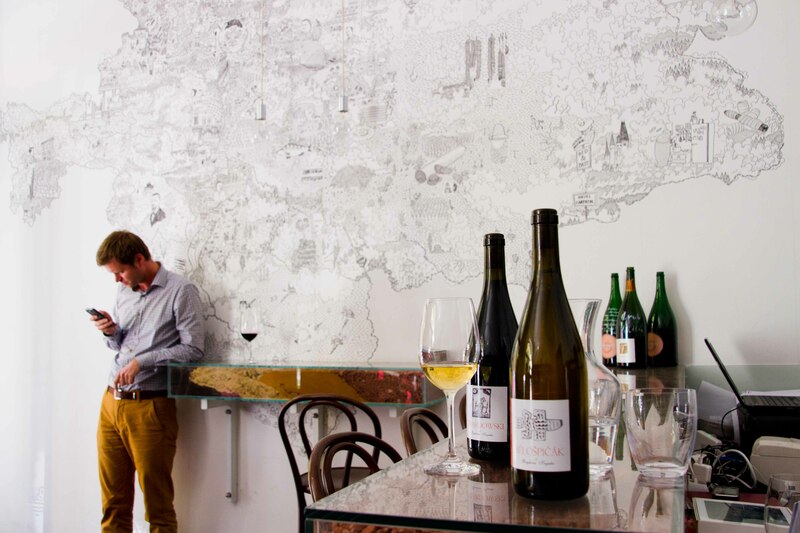 Prague’s first wine bar in Karlin radiates with charm. On warm days, guests sit outside on the sidewalk under the trees and enjoy selected wines from the Czech Republic, Hungary and Austria accompanied by olives and home-baked bread. The bar was designed by architect Gabriela Bousek Pojerova from Prague and is dominated by a dark-red wine shelf. The owners are more than happy to share their knowledge about origin and characteristics of the wines, which are all organic, with their guests. Sommelier Miroslav Macak will serve you enthusiastically even before the opening hours. It’s no surprise that an evening at Veltin’s can last long into the night.